Indeed Alex, I guess I can (grudgingly!!! ) give you that! The 1925 locomotive exchange definitely prove Gresley's team right in their views on short travel valve gear when the Castles trounced the A1s on both LNER and GWR metals. Gresley finally conceded the point and the subsequently modified A1s (and then experimental A3s) became very free steaming locomotives, improving fuel economy and leading the way to LNER providing the non-stop Flying Scotsman service. I think that Swindon's biggest influences on Stanier must have been boiler design and standardisation - if the LNER hadn't been so much of a financial disaster, it would have been interesting to see how Gresley would have tackled this rather than having to build small batches of locomotive piecemeal (J39s and V2s being the big exceptions here). However, you missed the most important lesson that Swindon taught both Gresley and Stanier... How not to build a pacific locomotive!!! Edit: While the GWR's one and only pacific, The Great Bear, might have been a failure for them, it was a very impressive looking machine! I have visions of recreating a lovely photograph I've seen of an dirty Jinty hauling some ancient four wheels being overtaken by A4 Silver Link hauling the band new Silver Jubilee set - just as things should be - I chose not to mention that quite a bit of the LNER's pre-grouping stock was probably little or no better than the NLR four wheelers as it doesn't back up my position!!! Anyway, enough banter! I'm looking forward to seeing these progress, especially the mogul which I've also got a soft spot for. Atso - not a problem, I have to admit I have a bit of LNER stock in the fleet. 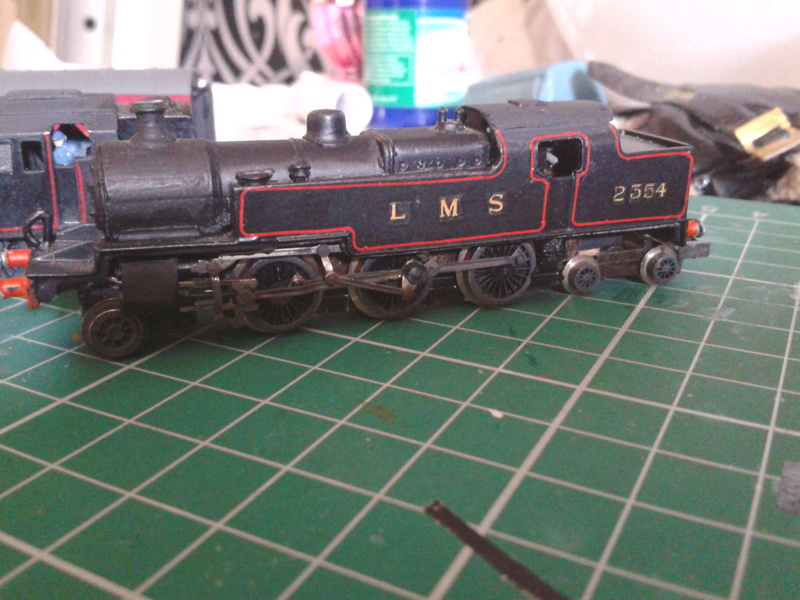 A Farish V2 just dirtied up a little, a couple B1's I have built and painted green (I even remarked at York that they looked ok running on the layout), I also have a home built J39 and my attempt at a J38 in lined black to boot........I think I must be coming down with something. Ive just been making a mental list of all the ahem little projects I have on the go at the moment, at my current rate I think all I have to do is live for another 100 years and I may get them finished. Ahh, the B1's about the only truly decent design that Thompson got to make (I would be more generous but he rebuilt Great Northern into an absolute abomination!). The J38 is a little north for you isn't it? As far as I can remember they never ventured south of the border. A little influence?!!! Your man was Swindon bred and trained! I think more than a little influence got in there - although he apparently wasn't impressed when his first mogul appeared with Swindon style boiler fittings! A strong Doncaster/Darlington presence gradually moving through the works - the J39 and A4 aren't really in the works but are currently being used for track and clearance testing. There is a bit of a Robinson influence at the back which I must get back to now I've got most of the parts to get on with it (them). There is also some of Stratford's work to be upgraded and repainted which I guess is soon to be joined by some stock of a Crew/Derby persuasion (oh, the shame of it!!!! ) All of this doesn't take into account the various wagons and coaches waiting for me to be bothered to get the airbrush out and start spraying! 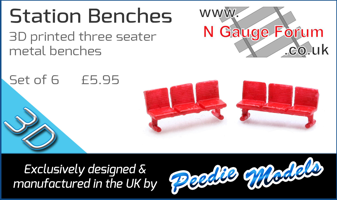 There are some great looking models there, my new layout if it ever gets past the planning stage may need more LNER loco's (CLC types), oh ddear yet more work. There is a picture of this loco in Haresnipes' book - supposedly Stanier wanted all pictures of it in this form destroyed, but at least one escaped for posterity! Also he used the same open jawed slide bars as GWR did on the first two Stanier pacifics 6200, 6201. Those were never changed and 6201 still has them to this day. With regards the mogul, this is my one - need to get that finished, but I'm currently working on the J52. There's a picture of it in one of David Jenkins's books as well. You're mogul is looking very nice Alan. And you're picture posted here has reminded me to ask you if the Crab chassis has a 8' by 8'6 wheelbase or is it one of the generic equally spaced chassis that Farish (Poole) were so fond of? I can't decide from the pictures on your workbench thread. I don't Paul, keep going and I'm sure it will be a stunner! I believe the Crab was scale, for the Crab. Frankly, if it's 8' x 8' instead that equates to 1/2mm out, which is just not enough to be worried about IMHO. Is that a Shire class in you line up Steve? if so is that a Dapol Schools chassis and a B17 tender and a 3D printed body? I have to say its looking good, I hope we will see more pictures of its construction. Actually it is a Hunt class body but I've not modified the valve gear yet... The Shire is behind it! You've identified the chassis and tender correctly but there is also a heavily modified M7 bogie under the cylinders to get the correct bogie wheelbase. Is it just me, but I set out to spend a little time on certain projects I have on the go and then end up working on something totally different.